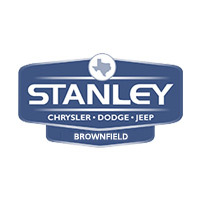 Now is the time to purchase the additional commercial RAM vehicles needed for your business. Current tax regulations may allow you to expense up to 100% of your truck purchases during the first year of ownership. Call or visit Stanley CDJR Brownwood to make the tax code work for you! A Ram® truck is generally considered Section 179 property for U.S. Federal Income Tax purposes. This means a taxpayer may elect to treat the cost of any Section 179 property as an expense, allowed as a deduction for the taxable year in which the property is placed in service. A qualifying business may expense up to $510,000 of Section 179 property during 2017. ProMaster City passenger van may be eligible for up to $11,560 in total deductions in year 1. The listed property expensing restrictions provided in Section 280F do not apply to a vehicle that is considered to be a qualified nonpersonal use vehicle. A qualified nonpersonal use vehicle is by virtue of its nature or design not likely to be used more than a de minimis amount for personal purposes. For more information, see Income Tax Regulation Section 1.280F-6(c)(3)(iii), Income Tax Regulation Section 1.274-5(k)(7), Publication 946 – How to Depreciate Property and consult your tax advisor as to the proper tax treatment of all business-vehicle purchases.